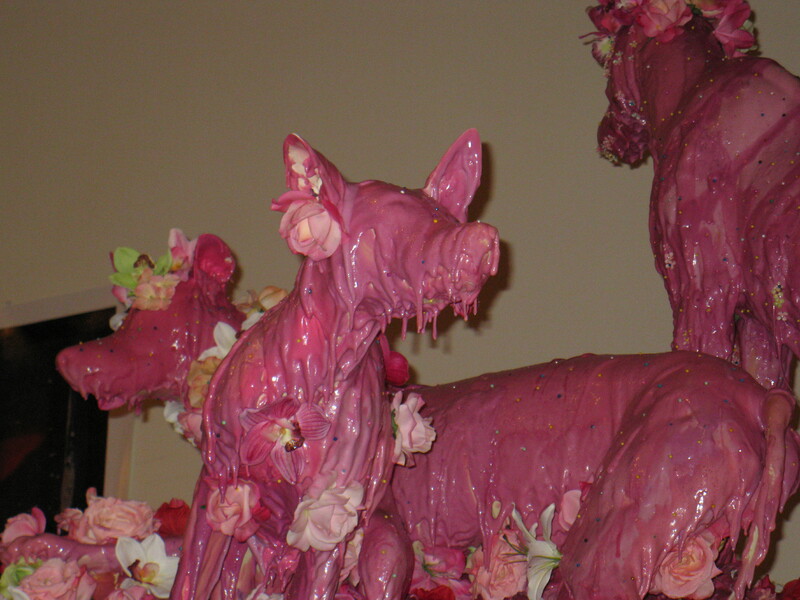 Butter sculptures of pigs? I’m writing about butter sculptures and have them on the brain. David said it felt like foam rubber or the bread (resembling a pancake) you get at an Ethiopian restaurant. Not sure what I’m looking at…. 🙂 Pigs? butter? hmmmm? Ugh! Reminds me of newborn hamsters! Oh, oh, oh–is this a writing prompt?